WAYNESVILLE, GA (February 11, 2017) – In his first career-season competing full-time on the Lucas Oil Late Model Dirt Series, Josh Richards won Saturday Night’s Rhino Ag Super Bowl of Racing presented by General Tire finale at Golden Isles Speedway. Richards took the lead on lap three and never looked back. The victory marks his 13th career LOLMDS victory, and his first win after having joined the Best Performance Motorsports Team last November. 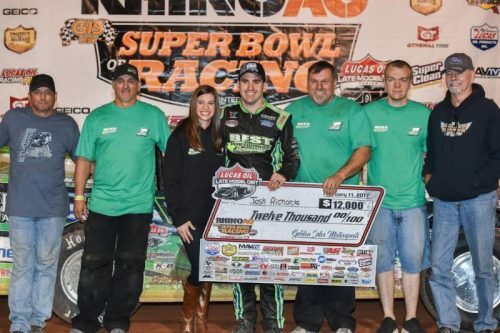 Richards led defending series champion Scott Bloomquist’s Reece Monument Company, Crop Production Services, Sweet-Bloomquist Chassis and Brandon Overton’s Chip Stone, Longhorn to the finish line by several car lengths. Bloomquist and Overton had a spirited race for most of the 60-lap main event as Overton tried several times to get by Bloomquist. Brian Shirley finished in fourth, followed by the 2015 LOLMDS National Champion, Jonathan Davenport. “I don’t know what to say right now. Thanks to all of fans for their support. It [switching race teams] was one of the toughest decisions I have ever made. I have always wanted to work with Randall [Edwards]. I can’t thank these guys enough for this opportunity. It’s great to win the second night out in this car. Everything is new on this ride and we are just trying to get acclimated to it,” said the 28-year-old in Lucas Oil Victory Lane. The Eric and Kelly Brock owned team is sponsored by Peoples National Bank, Corey Frazier-State Farm Insurance, Valvoline, Keyser, Riggs Motorsports, Integra, and Sunoco Race Fuels. The Rocket XR1 Chassis is powered by a Dargie Racing Engine. Completing the top ten were Doug Drown, Kenny Pettyjohn, Don O’Neal, Tyler Erb, and Tim McCreadie. In preliminary action, Brandon Overton set the overall Miller Welders Fast Time (Group A) amongst the 52 entrants, with a lap of 15.768 seconds. Brian Shirley set the fastest time in Group B with a time of 15.806 seconds. Brandon Overton, Scott Bloomquist, Josh Richards, Billy Moyer Jr, and Doug Drown won their respective heat races. Austin Hubbard and Brent Larson won their respective B-Mains. 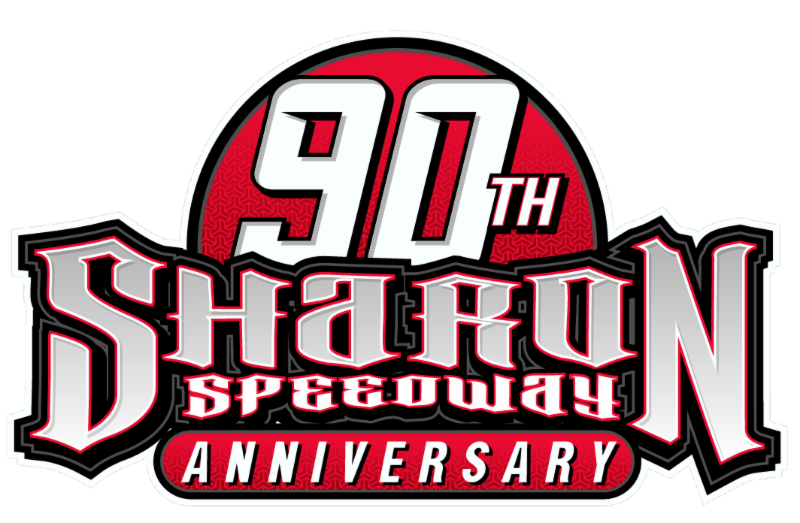 QA1 Heat Race #4 Finish (10 Laps, Top 3 Transfer): Brian Shirley, Kenny PettyJohn, Donald McIntosh, Brent Larson, Austin Rettig, Chase Junghans, GR Smith, Bob Gardner, Dennis Erb, Jr.